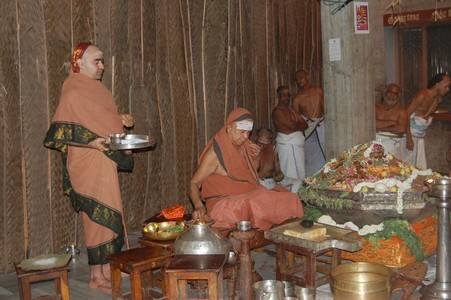 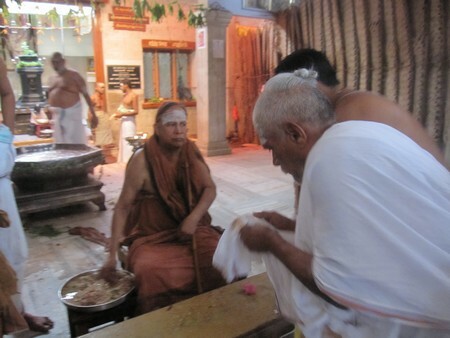 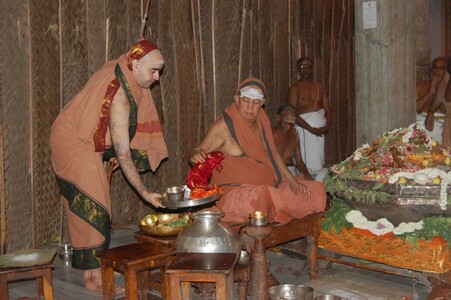 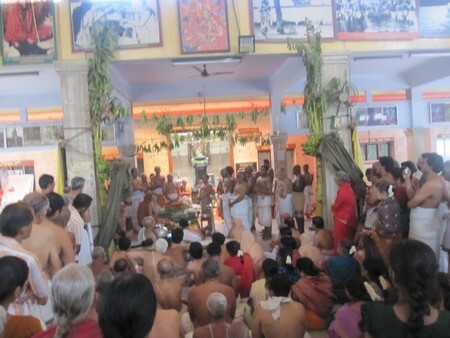 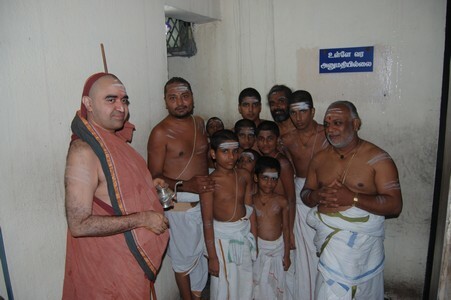 Their Holinesses Pujyasri Jayendra Saraswathi Shankaracharya Swamiji and Pujyasri Sankara Vijayendra Saraswathi Shankaracharya Swamiji performed the Punar Puja of the Vyasa Puja at Shrimatham, Kanchipuram today. 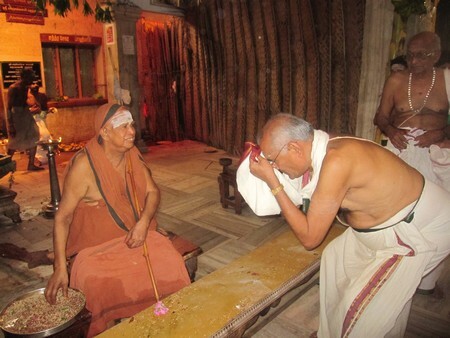 This year, the Vyasa Puja was performed on the Full Moon Day of the Aashada Month - a Friday. 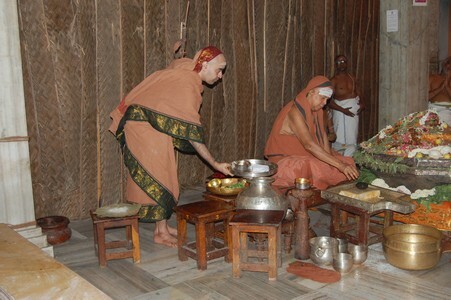 When the Vyasa Puja falls on a Friday, it is customary to perform Punar Puja on the subsequent day, after which the Mantraakshata is given by His Holiness to the devotees. 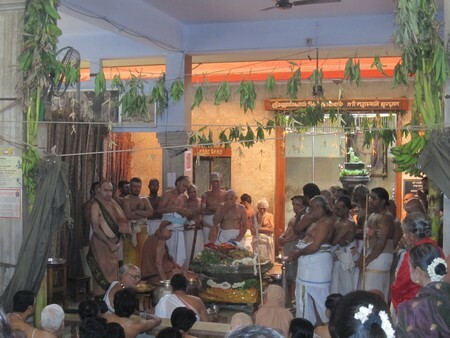 A large number of devotees witnessed the Punar Puja performed by His Holiness and received the Mantraakshatam from His Holiness. 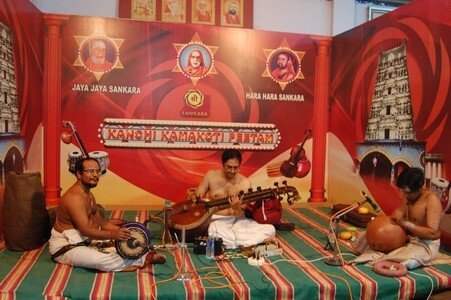 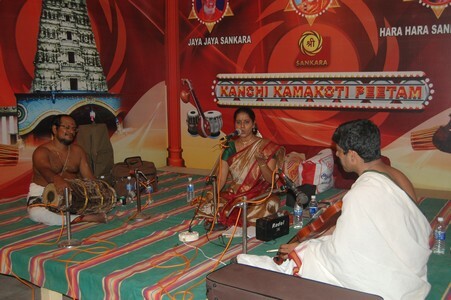 As part of the Guruvandana Nadasamarpanam programme, a two-month long music festival being held in the evenings during the Chaturmasya Vratam, a Veena recital was held, followed by Harikatha.